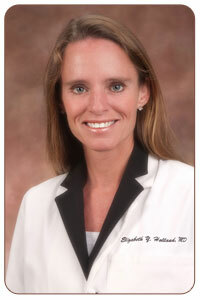 Elizabeth Y. Holland, MD, a board certified ophthalmologist, is a native of Greenville, South Carolina. The daughter of the late Malvern C. Holland, MD, she returns to Greenville to carry on the tradition of caring, patient centered eye care that was delivered by her father here in Greenville from 1960 until 2001. 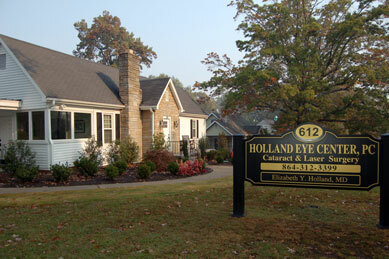 She is the director and president of the Holland Eye Center, P.C. Dr. Holland is a graduate of Furman University where she received a Bachelor of Science degree in Biology. She received her medical degree from the Medical University of South Carolina in 1995 and completed her ophthalmology residency at University of Texas Health Science Center in San Antonio in 1999. Dr. Holland spent 9 years working at the MidWest Eye Center, one of the largest refractive practices in Cincinnati, Ohio. She then relocated to Neenah, Wisconsin and worked for Optivision, another large refractive practices in Northeast Wisconsin for the two years. Dr. Holland returned to Greenville, SC in 2010 to follow in her father's footsteps. Her 16 years of experience have made her an accomplished cataract and LASIK surgeon. She has a special interest in oculoplastic surgery and cosmetic procedures (including Botox injections) with outstanding results. Dr. Holland is compassionate about patient care. She is meticulous in her surgical technique and preoperative assessments to deliver the best outcomes. Dr. Holland is a fellow of the American Academy of Ophthalmology, a member of the American Society of Cataract and Refractive Surgeons, the American Medical Association, the South Carolina Medical Society, and the Greenville Medical Society. In her free time she enjoys competitive long distance running and spending time with her two daughters.